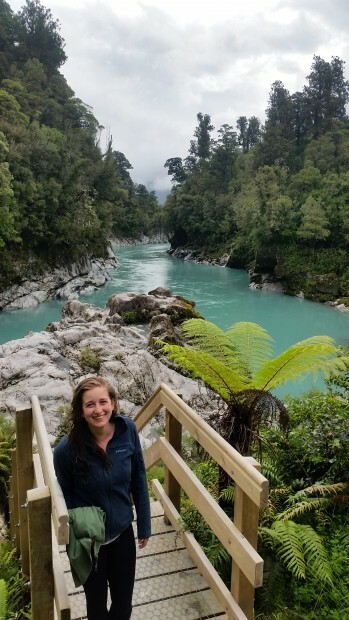 Lindsey Pointer from Fort Collins, Colorado used her 2016 Fulbright US Graduate Award to complete a Master of Arts degree in Public Policy, specialising in the role of rituals in restorative justice, at Victoria University of Wellington. Lindsey graduated with a BA from Colorado College in 2013. Flying into Wellington for the first time, I remember looking down at the green hills dotted with houses, the rocky coastline, and the unbelievably blue water and thinking it looked like Neverland. There have been days in the winter months when Wellington didn’t look quite so shiny, but it has still always felt like Neverland to me! The opportunities that have opened up for me since arriving here have been beyond my wildest hopes. I have had the chance to take a deep dive into researching restorative justice while also having the opportunity to facilitate cases and provide training at the University. Each week, my desire for a balance between academic inquiry and practical application has been met beautifully. I have met incredible mentors who have provided guidance for both my studies and my personal life. On the weekends and during breaks, we have had the chance to explore New Zealand and appreciate the unmatched natural beauty of this place. We bought a minivan and named it “Leeward” after picking up some new vocabulary in Windy Wellington. With Leeward, we have been able to explore freely and have been on some of the most breathtaking hikes of my life. After a year of learning and exploring, I have decided to expand my studies here to a PhD in Wellington. I am so grateful to continue the adventure.